Students are introduced to the physical geography of South Asia. They read about and look at maps of the region. Then they create their own maps to depict several aspects of the region. 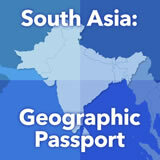 Finally, they consider two specific regions in the area—Kashmir and Punjab. In this experience, students are introduced to the physical geography of South Asia. They read about and look at maps of the region. Then they create their own maps to depict several aspects of the region. 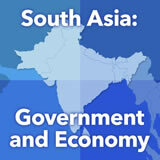 Finally, they consider two specific regions in the area—Kashmir and Punjab. Describe the physical features of South Asia. 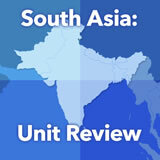 Identify South Asia’s climate regions. 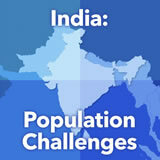 South Asia is a vast region that includes large and populous countries you have heard of, like India, Pakistan, and Bangladesh, as well as smaller countries you may know less about, like Nepal, Bhutan, Sri Lanka, and Maldives. 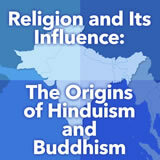 In this experience you will learn about the physical features and population of the whole region of South Asia. 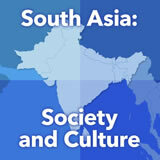 What words come to mind when you think of the region of South Asia? Discuss students’ responses. It’s likely that students will overlap some of the South Asian countries with Southeast or Southwest Asian countries. Explain that these are general regional descriptors, but they are not official. 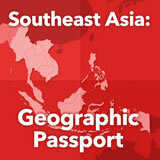 You might tell them that in some cases, for example, Afghanistan is considered part of South Asia.